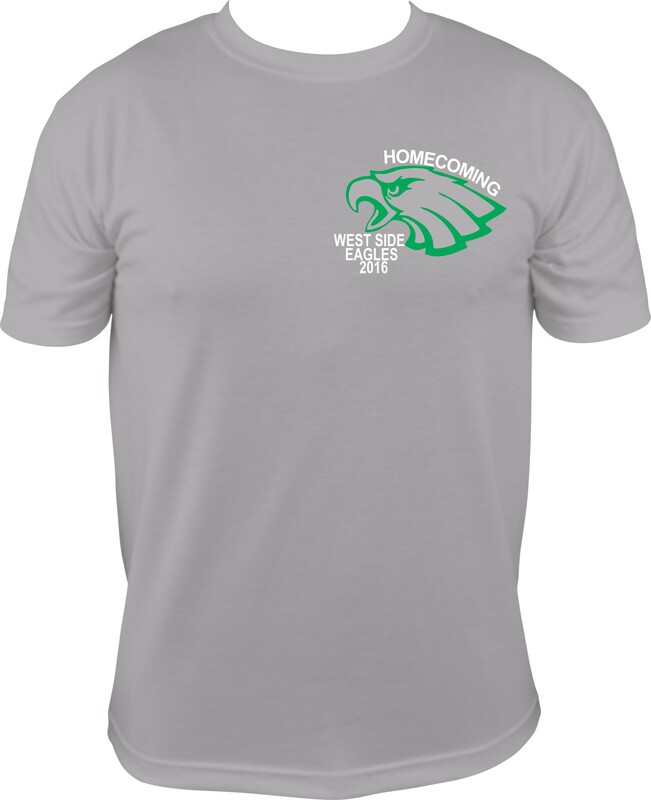 The High School Student Council is selling Homecoming T-shirts in advance homecoming week, October 17-21. The Eagles play Sacred Heart on Friday, October 21, when the Homecoming Court will be presented. The cost of Short Sleeve Youth Small to Adult XL are $13; the cost is $15 for 2XL and larger. Long Sleeve Youth Small to Adult XL shirts are $15; the cost is $17 for 2XL and larger. 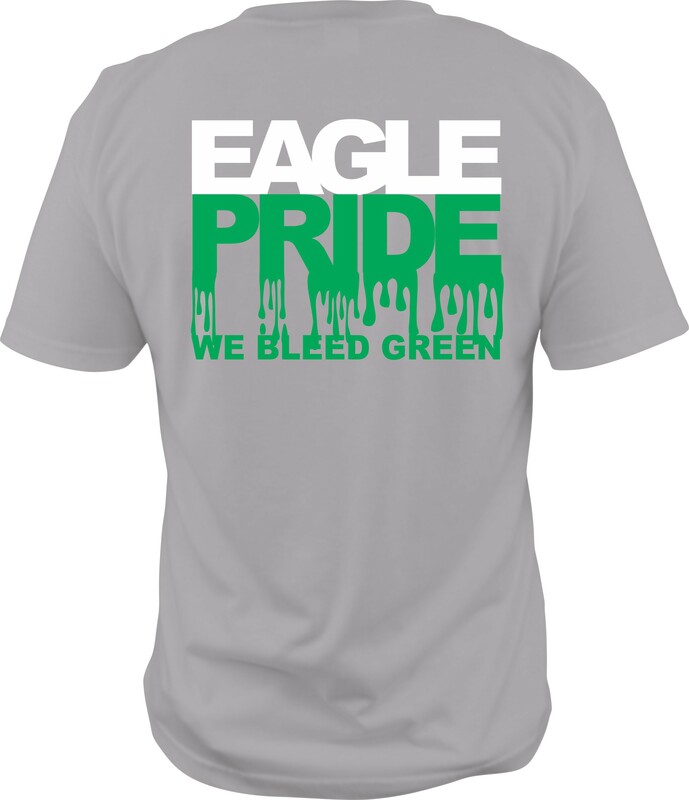 For more information, call the high school office at (501) 825-7241 or email holly.cornell@westsideeagles.org. Orders must be received by Thursday, October 6. 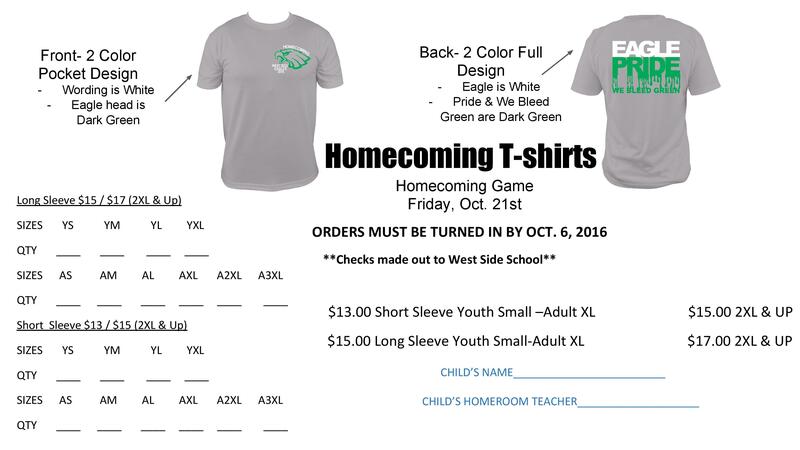 The order form can be printed, filled out, and left at the high school office from 7:30 a.m.-4 p.m.